Can you tell us about your lovely label, Maya Muse Textiles. 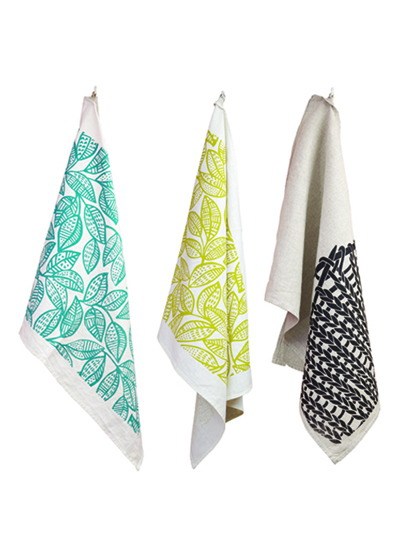 Maya Muse Textiles is a small Sydney based label with a range of hand screen printed cushions, tea towels, aprons and accessories. 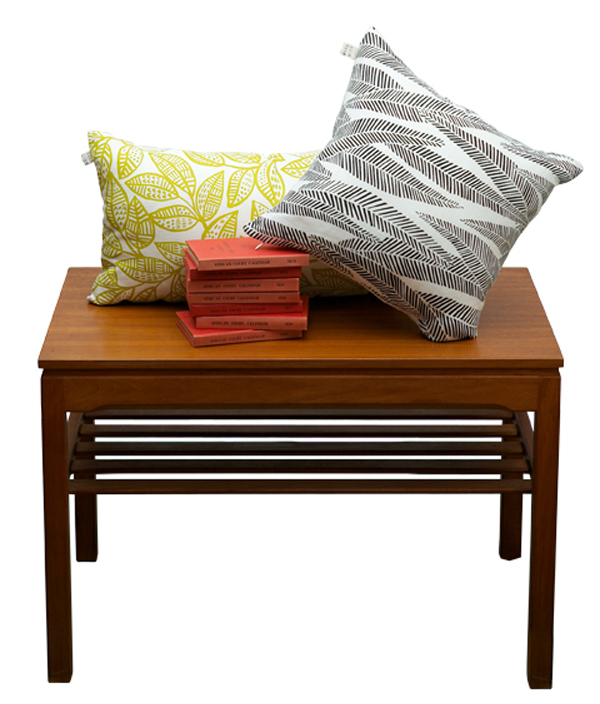 The first range features four different prints in a delicious, fresh and contemporary palette. I am also excited to announce that there will be two new prints that will be making their debut at the Melbourne Finders Keepers Market. Your label is very new! Can you tell us how it all came about? Maya Muse Textiles was founded in July 2010 with a desire to design beautiful, thoughtful products which celebrate the joy of the handmade. Having worked as a commercial textile designer for studios in London for 5 years, and with experience working for a large established home textiles label in Sydney, it has been so rewarding to go back to products produced on such a small scale. I have thoroughly enjoyed being responsible for a design from its inception through its development and production to completion. What are your favourite blogs to get inspiration? I could easily spend my whole week looking through design blogs! There are so many out there now that can be really inspiring. My personal favourites are: www.decor8blog.com, www.creaturecomfortsblog.com. Some others that are great: www.brightbazaar.blogspot.com, www.style-files.com, www.designspongeonline.com. Also I have just started using pinterest.com which is a really great concept, and completely addictive! What do you love about screen printing & working with textiles? When I first started Maya Muse I had every intention of outsourcing the screen printing to a local company. However I soon realised that in order to keep costs down, to allow for the flexibility to experiment with colour and base cloths, and to be able to do very small print runs I should really develop my own screen printing skills. With only an afternoon screen printing lesson at uni under my belt about 8 years ago, I had a lot to learn and there was definitely a lot of trial and error! Having ironed out all the kinks I love it now! I love the immediacy and flexibility it offers, not to mention the lovely quality it achieves. It is like Christmas morning when I lift the screen off the table after pulling the squeegee across in a brand new colour! My designs are often a response to travel. I love the fresh perspective travel offers. It offers a doorway to new colour combinations in unusual contexts, diverse new flowers, textures and architecture. 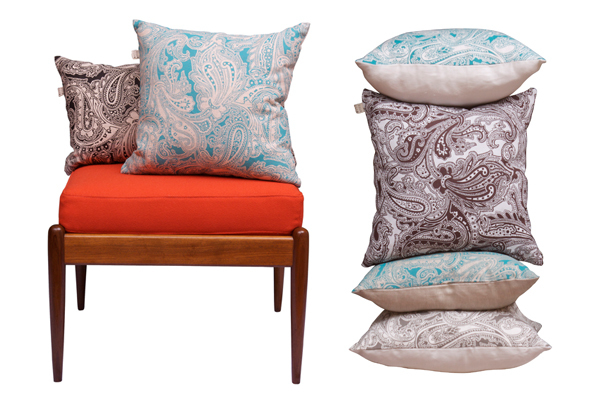 The first Maya Muse collection is largely inspired by my return to Sydney after five years away. The ‘Eucalyptus’ and ‘Ku-ring-gai’ prints came about after seeing home through fresh eyes. The process often begins with trend research, then moves to drawing, both by hand, and on computer. Each product is then individually hand screen printed with hand mixed inks. These traditional techniques imbue each product with a soul and character that can only be achieved in the absence of mass production. What has been the most rewarding part so far? What advice would you give others starting out? The most rewarding part of running my own label is seeing an end product and knowing that I had a part in every stage of its development. 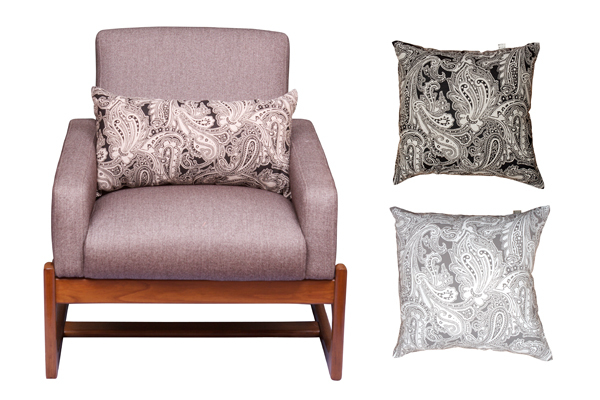 In my past jobs as a commercial textile designer it was often frustrating to see a finished product look nothing like how I initially envisaged it. Having too many hands in the cookie jar, can often spoil a design, for that reason I love the simplicity and honesty of Maya Muse. My advice to anyone just starting out would be to have patience, to do a lot of research and be flexible in how you envisage your business developing. Most of all though, make sure you love design, and have self discipline and structure to your work day, and I am sure you will find it very rewarding and fun! Wise words, thank you! Great to be reminded of the importance of a structured approach to working for oneself. 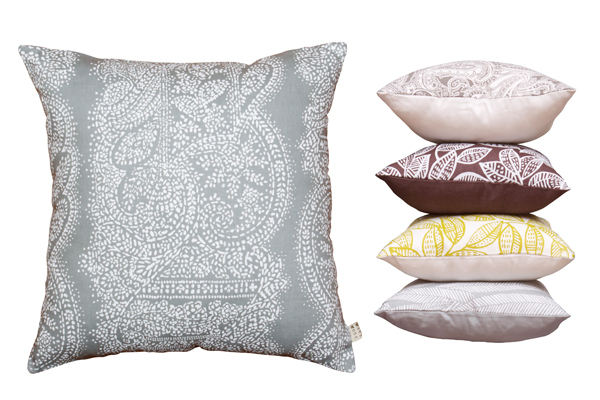 Beautiful products too, lovely to see a departure from worn-out motifs.